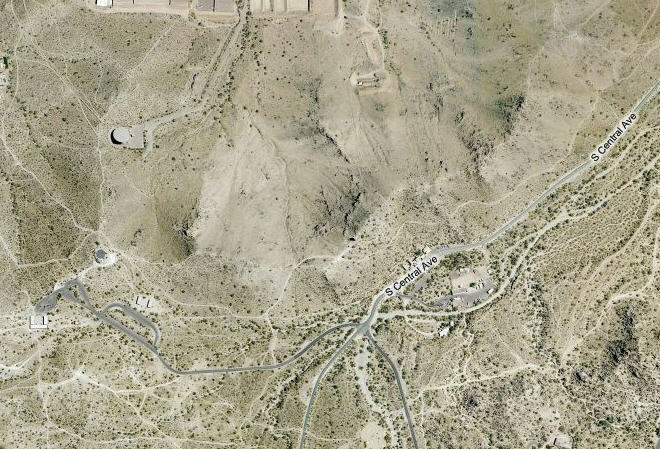 ArizonaHikers - Community Based Hiking Discussion Board :: View topic - Helicopter Landing Pad on South Mountain? Helicopter Landing Pad on South Mountain? Posted: 8/7/2009, 5:21 pm Post subject: Helicopter Landing Pad on South Mountain? Strange question, does anyone know where the helicopter landing pad on South Mountain is? I have been there once but it was dark and I can't seem to remember where it is. I would love to get some pics off there. We just land them anywhere theirs is a level area and no obstructions. I've never seen one there but Piestewa has one or two. Wish I could find it again. Great views, I just can not seem to remember where it is at!! Oh well, I guess it is just not meant for me to find again! Go drive around up there, I believe there is a parking lot at the end of the road, or maybe it is over by the towers. There is a big lot where the cancer walk ends. I took a drive there the other day to no avail so I just ended up hiking. I believe it overlooks Awatukee? It is going to drive me nuts until I find it!! Never been there myself... Using Bing maps birds eye view this resembles a helicopter pad. It looks like to get there just take S. Central all the way to the end and hang a right. The pad is the smaller circle to the middle left on the image. 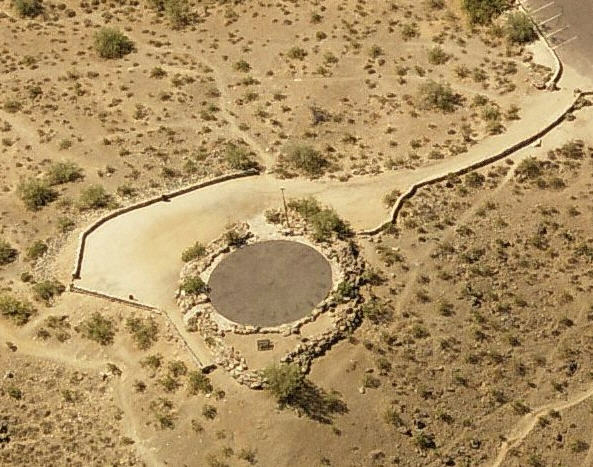 The larger circle is a water tank below the pad. See below. Wow, that's pretty cool, Farm. Have to look into that feature. Hi I'm a mountain biker, and we all know that helo pad is south of Desert classic about half way between the water tank and telegraph pass. It does over look the awatukee foothills.